Girls, Meet Satine. Satine meet the girls. 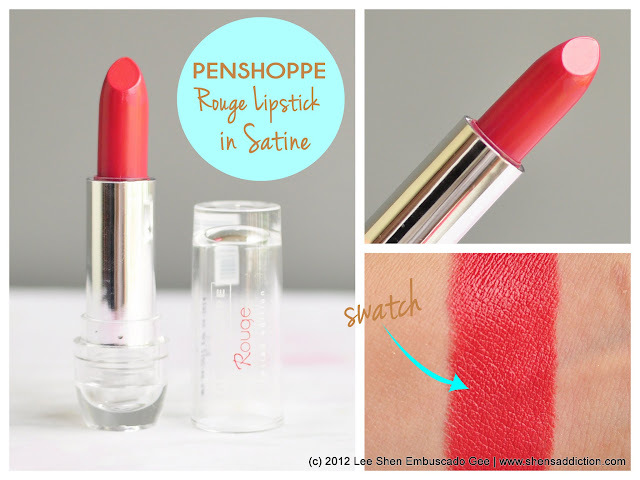 Satine is one of the Limited Edition Rogue Lipstick from Penshoppe. Any girls my age knows that Penshoppe makes cosmetics and we've been all an avid fan once in our lives. As for me, it was back in high school and first year in college when I bought a few stuff from them. A lip balm and tint here and there. It's a brand that is straightforward, affordable and comes in cute packaging. Something that a girl my age (back then!) would be really in to. 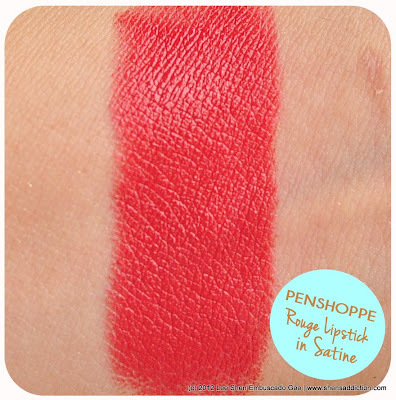 But as years go by and my taste started to mature (naturally), I got more serious into cosmetics that I forgot all about Penshoppe personal care products. Well, it was also because my style has evolved and I lessened visiting shops like Penshoppe, too. 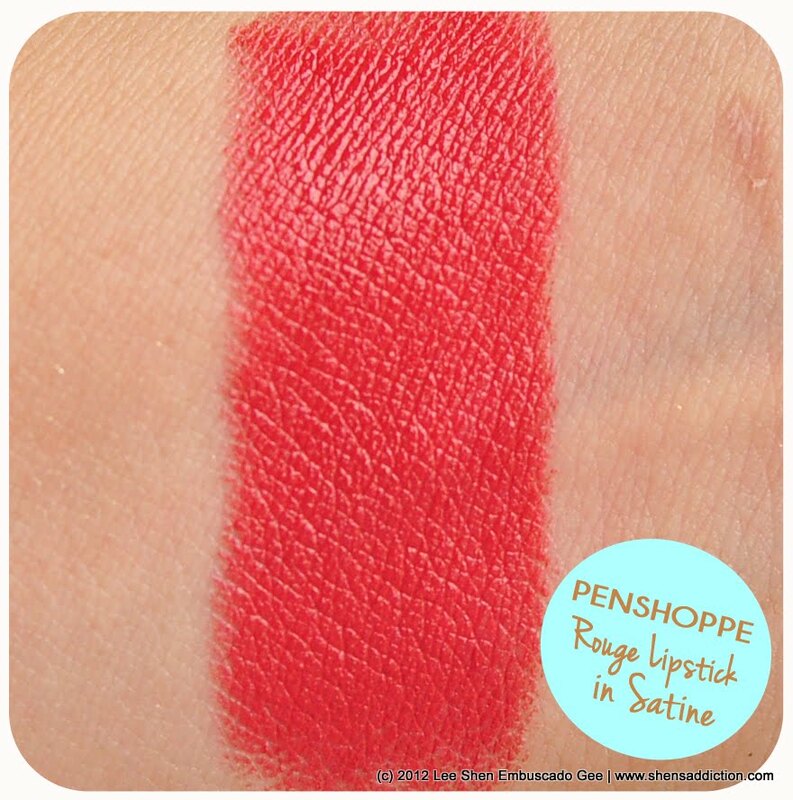 And that is why you are meeting Satine, a warm red lipstick from Penshoppe's Limited Edition Rouge Lipsticks that contains Hydraradiance Factor, antioxidants and tea tree. Not the words you'd likely to hear on a Php199 tube of lipstick but in this case, it's true. Another thing is that it's housed in a packaging reminiscent of Shu Uemura's lipstick. Incredibly pretty, if I may say so. Given that I'm not a so much of a fan of warm red lipstick (or anything that is in the vicinity of orange or its friend), Satine grew on me. Making me wonder what other shades they offer. Good thing I learned that they now have an online shop, www.shop.penshoppe.com. Which makes it a lot easier for me to buy products from them. 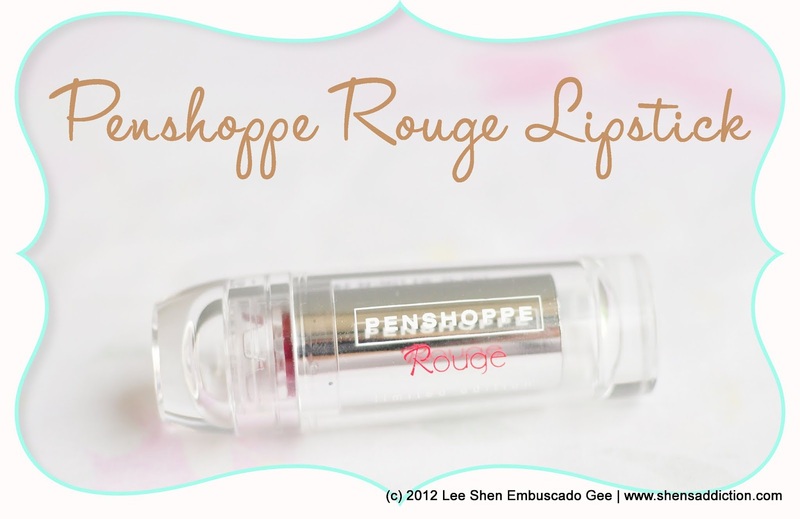 Get a chance to win this lipstick by joining my Blog Anniversary and Birthday giveaway!